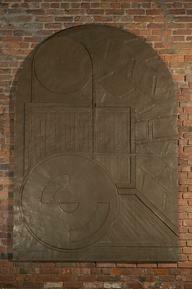 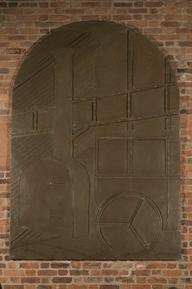 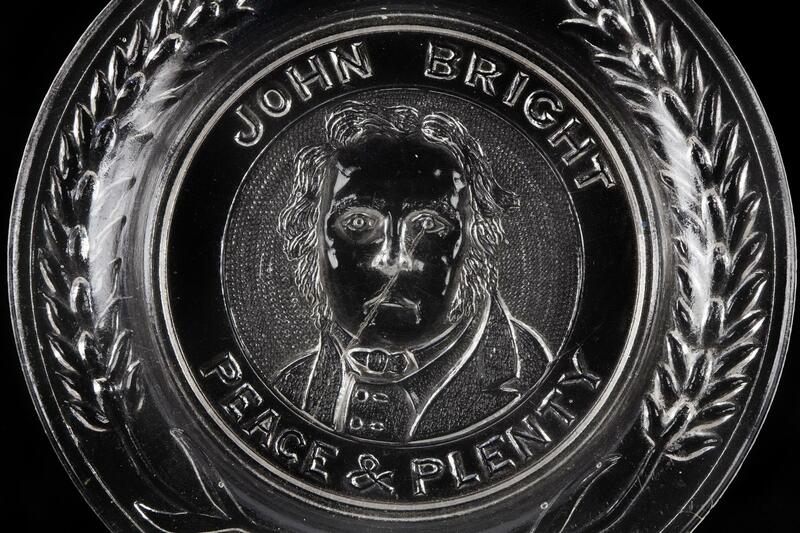 Plate commemorating John Bright. 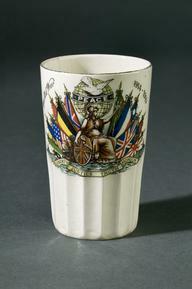 Photographed on a grey background. 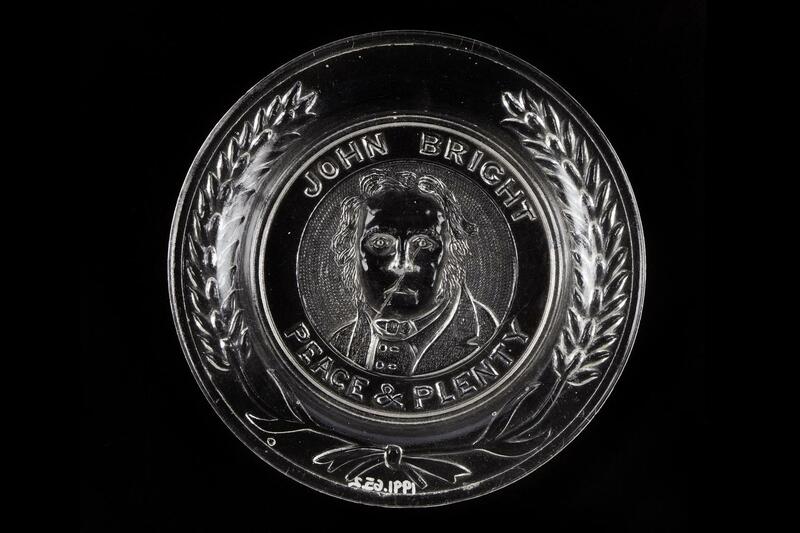 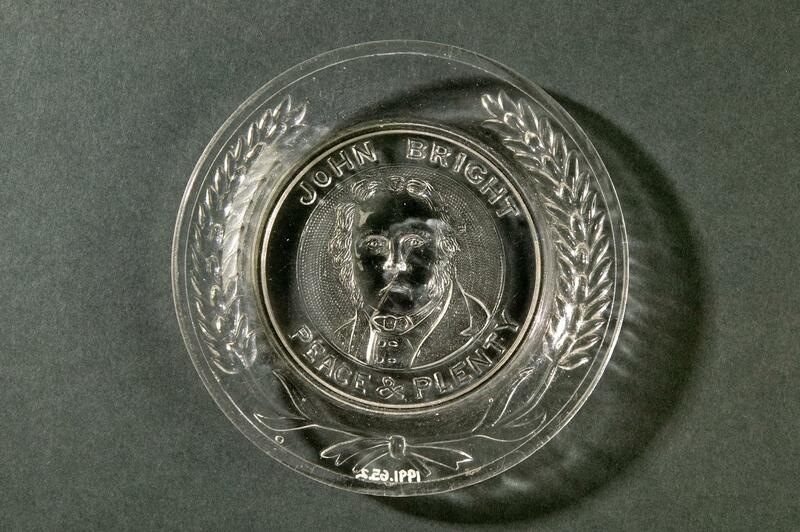 Glass plate commemorating John Bright.